This include's Machine control, Condition monitoring, Data acquisition, Specialized alarm with alert . 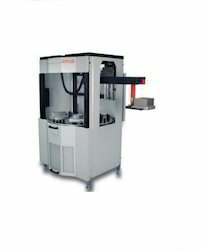 Ruhlamat Automation Technologies (India) Pvt. Ltd. The Machine Tending Automation is offered by us as per the client’s specifications. The product we offer is used for piston rod plant machine tending automation. Our Machine Tending Automation is highly acclaimed amongst the customers for their effectiveness and reliability they provide. Our variety of Process Automation Machine is manufactured using quality basic material to ensure it provides high effectiveness and lasts long. Our automation machines are ideal in painting systems and other related applications. We offer customized solutions based on the machine specifications provided by the clients. We are renowned trader and supplier of Allan –Bradley product.